The ultimate guide to Mayrhofen ski holidays in 2019 & 2020. 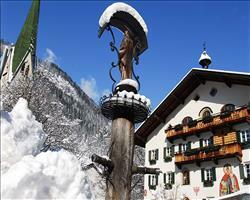 Near the end of the stunning Ziller Valley, Mayrhofen engenders Austrian charm in a lively, cheerful atmosphere. Dating back to 1511, its architecture's charmingly old school, yet all mod-cons are present and correct. The resort's location is fantastic: Only an hour's drive from Innsbruck airport, parents can minimise the all-too-familiar “are we nearly there yet?” while snow lovers can maximise their time on the piste. The family friendly nature doesn't stop with its convenient location – restaurants cater for children excellently, kids activities are abundant and the ski schools are well known as some of the best. Not only appealing for those with children in tow, Mayrhofen has long been a popular holiday destination for Brits due to its wild and wonderful après ski. From merry chaos to sophisticated cocktail-sipping, the host of Altitude festival and Snowbombing serves up fantastic après for all palates. The terrain here's another ski holiday clincher. 139km of pistes overall provide for all levels and piste conditions are insured with snowmaking technology that covers a noteworthy 100% of the area. 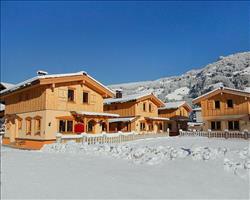 The resort sits between the beautiful Ahorn and Penken mountains which together offer a diversity that's hard to match. The south facing Ahorn is known as the 'Leisure Mountain' and offers some lovely sun-drenched, cruisey runs. It also hosts the famous White Lounge Igloo Village, where you can drink at the bar or treat yourself to an overnight igloo stay. Things are a bit more adventurous over on the northerly Penken 'Action Mountain'. Besides the infamous Harakiri (Austria's steepest piste), you'll find freestyling heaven in one of the best snowparks Europe has to offer, as well as some super race tracks. If this isn't enough, get the Zillertaler Superskipass where you'll discover a whopping 671km of marked runs including the snow-sure Hintertux glacier, the Zillertal Arena, Hochfügen-Hochzillertal and Spieljoch. View our detailed Mayrhofen snow forecast or snow report and see all live webcams, piste maps, road and travel maps and lift pass prices. For a picture of historic snow conditions see the snow depths month by month with our Mayrhofen snow history. 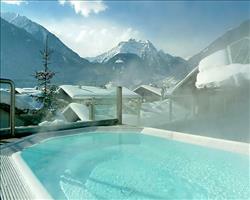 There's oodles on offer in Mayrhofen whether you ski or board and whatever your level. If you prefer a leisurely cruise down the piste, the Ahorn's your mountain, while those who like to get the heart pumping will love north facing Penken's white-knuckle steeps, moguls, powder and terrain park. Mayrhofen is highly recommended for beginners who can learn under the excellent tuition of local instructors on both the Ahorn and Penken mountains. The nursery areas are large, gentle and snow-sure, offering some fantastic views of the Ziller Valley and there are some lovely wide, gentle blues on the Ahorn. Intermediate skiers and boarders will find excitingly varied terrain including some fantastic steeps and off-piste. Penken has tons of great reds including 'race pistes' where you can time your descent. Don't mistake the Ahorn for being merely "leisurely" – there are some challenges here too including the 5.5km Valley run. Advanced and experts with a taste for adventure can find some memorable descents including Austria's steepest slope. The notorious Harakiri is 2 miles long with a thrilling 78% gradient, while another adrenaline pumping must is the infamous Devil's Run. Affectionately nicknamed the 'Big M' and with some of Europe's best freestyling terrain, Mayrhofen is a worldwide snowboarding destination. There's also freeriding galore and with only 16 drag lifts, the area is very snowboard friendly. The huge Penken snowpark is one of the best you'll find in Europe and with 8 different areas and a brilliant halfpipe, it caters well for everyone from children to pro's. There's a kid's park, fun park and obstacle park as well as medium, advanced and pro' areas with kickers ranging from 5 – 20m, rails up to 12m long and tubes of all shapes and sizes. 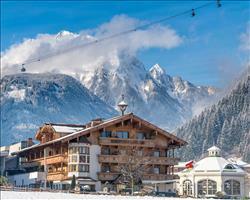 With a famously lively après ski scene, Mayrhofen's a place to eat, drink and party after a day on the snow. You'll find a range of restaurants to suit all budgets serving great food from schnitzel to chow mein. Ahornhuette is one of many family friendly restaurants with a great kids menu, the Thaler family provide a traditional Austrian dining experience at Wirtshaus zum Griena and the Sportsbar & Grill keeps everyone happy with a fantastic range of food including burgers, kebabs and pizza. With a variety of bars, Mayrhofen has plenty of places to socialise, unwind and enjoy the schnapps. On the Ahorn, the Igloo Bar is a unique location where you can relax with a drink, good music and a spectacular view. For a more traditional après, you'll find table-top dancing at the lively Ice Bar or a great home-from-home atmosphere in British themed Scotland Yard. Later on in the evening, the Speakeasy Arena is a popular nightclub where you can party into the early hours with themed nights, great DJ's and lots of dancing. Whether you're a non-skier in Mayrhofen or just fancy an alternative activity, you'll find a lot on offer. Experience of the beautiful Ziller Valley is not limited to those on skis - Mayrhofen offers snowshoeing, ice-climbing, paragliding, tobogganing and horse-riding as alternative ways to discover the valley. There's a great outdoor ice rink for skating, curling and ice hockey as well as a Nature Park Exhibition which families will love. In terms of indoor activities, the Erlebnisbad Mayrhofen has a leisure pool, gym and wellness facilities including a sauna, steam room and solarium where you can play, exercise or be pampered to your heart's content. When is the best time to ski Mayrhofen? The ski season here runs from December through to April. With 123 snow cannons and 35 snow lances, the resort boasts that 100% of the area can be covered by artificial snow if the weather isn't up to scratch. 75% of the Zillertaler SuperSkipass domain can be covered this way too and with the snow-sure Hintertux Glacier (skiable all year), you're bound to find quality terrain throughout the season. Mayrhofen has hosted the Altitude comedy festival in the past, with a line-up of some of the best comedians around in December / March. The legendary Snowbombing festival takes place here too towards the end of the season, with music from top artists including Example and Kasabian. Over these dates as well as Christmas, New Years Eve and school holidays, Mayrhofen is buzzing and, if you prefer a quieter experience, try early December and January and avoid school holidays. 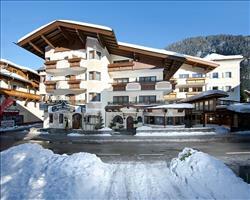 Families are well looked after in this charming Austrian resort, where quality time together is widely encouraged. The accommodation here is well suited to families - Chalet Haus Tirol is fantastic for those seeking a traditional Austrian experience in a cosy environment. 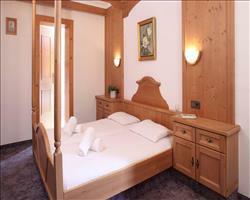 If you prefer to stay in a hotel, check out the Strass Hotels which are some of the most popular in Mayrhofen. Location can be a key part of keeping everyone happy for the week and both of these properties are right in the centre of the town, very near to the Penken gondola which leads directly to the ski school meeting point and nursery slopes, making them ideal if any of your clan are booked into lessons. As well as benefitting from excellent ski schools, children learning to ski will enjoy Mayrhofen’s lovely nursery slopes with conveyor belts and magic carpets to make skiing easy. If you’re travelling with children who are too young for ski school, Wuppy’s Kinderland offers a Kindergarten and day nursery for children from 3 months. Ask us about accommodation with childcare facilities if this is an important factor of your holiday. 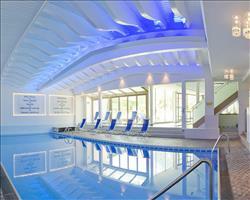 Our best package holidays include accommodation, flights and transfers. They’re 100% ATOL protected and make booking and travelling swift and hassle free. Select your nearest airport below for the most convenient holidays. Self-drive holidays are popular for families who don’t mind the journey – pick self-drive instead of an airport below to find our best packages with channel crossings. You can also select independent travel if you’re sorting it all out separately. Mayrhofen has something for groups of all ages and abilities and there are indoor and outdoor activities aplenty for any non-skiers tagging along. Chalets offer an authentic and intimate place to stay, ideal for groups looking to spend some quality time together. Chalet Haus Tirol boasts an excellent location right in the middle of town, nearby the main ski lift and with Mayrhofen's lively Austrian après right next door for groups looking to party - for some homely après head to British pub Scotland Yard or for some Austrian Merriment, visit the Ice Bar. 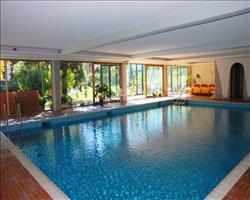 Groups of all shapes and sizes are likely to find somewhere to suit in the Strass Hotels. 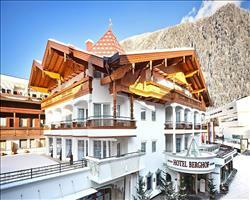 This complex includes 2 hotels and 2 interconnecting properties: the Apart-hotel Strass and Hotel Strass Garni. As well as boasting a central location, all Strass properties are right by the Penken gondola which takes you directly to the nursery slopes and ski school meeting point – ideal if anyone in your group is taking lessons. Any latecomers wanting to join the party later on can look for availabilities in any of the Strass accommodation and you can all join together communal spaces shared by all the properties. If everyone’s looking to stay somewhere up market, browse our 4 and 5 star hotels and superior chalets and book a luxury ski holiday. Enjoy spacious accommodation in the best locations in town as well as superb fitness and wellness facilities, on-site bars and restaurants and more. Wherever you elect to stay, our accommodation comes with flights and transfers for a money-saving deal that’ll get you all on the mountains before you know it. Self-drive packages are available for groups planning to drive and if it’s proving too difficult to find a package that suits everyone, accommodation-only deals are also available. "Possibly the best ski resort in the world"
Mayrhofen is a great place, in fact I’ve just got back from skiing somewhere else and I was disappointed that it wasn’t as good! The village itself is super lively with plenty of good bars and really good places to eat. There’s a place at the bottom of the gondola station in main Mayrhofen that did takeaway food, so you could snowboard down and buy a beer and baguette full of meat for a good price (I found everything fairly cheap out there). Mayrhofen is billed as being really super lively, I think because there are all these Austrian Oompah bars where you have loads of drunk Austrians in a circle chanting loads of Europop... Scotland Yard is basically an English pub which I really liked, the barmaids and barmen were really friendly and by 9-10pm it was absolutely packed with a really good atmosphere. There’s also a lovely little Dutch bar but I can’t remember the name of it! I’d definitely recommend Mayrhofen to other single travellers, it’s a good place to get out and meet people as it’s a very social place where everyone’s really friendly. The transport in the village was amazing; I ended up going over to Hintertux which was fantastic. You have to pick your day in terms of the weather and I was lucky to have a clear day. You go about 15-20 minutes up the valley and you’re there, with the whole area included in the pass. On another day I went over to Zell am See; we stopped off at a restaurant beside the lake for a hot chocolate and had a good ski day there too. I also jumped on the train and went to 2 other resorts in the same day, everything is so easy to get to and the lift pass covers it all. The main boarding area is amazing; there weren’t too many flats so it’s definitely a good place for snowboarders. The area has pretty much a bit of everything, the reds were pretty good and there are some long windy blues which were quite good, although some people found them difficult because you have to try and avoid other people. The snow cover was amazing and it has such a big cannon range that all the slopes are cannoned if you need more coverage. Sensational holiday! Given it was technically coming to the end of the season, the snow coverage was pretty good/excellent with some icy patches. The slopes you go down to get into town were getting very patchy but otherwise it was fine. It’s definitely good for snowboarding with not many flats. We didn’t spend a huge amount of time in the town but we did go to a couple of bars and overall there are some very good facilities around the resort. We stayed here for Snowbombing which was good, being a couple it was a different experience to being a group of all single girls/boys but we enjoyed it and went to at least one gig a night. I think they had Above & Beyond on opening night and Disclosure, Example and Kasabian were also performing there. If you’re a light sleeper staying in Mayrhofen while Snowbombing is on, I’d recommend earplugs as there is a lot of noise at night! I would definitely go back for Snowbombing and also Mayrhofen itself. "Something for everyone - more characterful than France"
Mayrhofen has a lot for everyone, I like it because it’s snow sure and you have a massive variety within the Zillertal ski area, you can use the pass to go up and down the whole valley. If you ski/snowboard in Mayrhofen itself, you can ski through 3 or 4 areas just from the main lift; if there isn’t good weather, you can just catch the bus up the valley to the Hintertux glacier. My girlfriend is a skier and doesn’t like Mayrhofen as much as I do, she prefers big wide open French pistes and these have a bit more character and charm, with things like bumps and moguls along the way which makes the snowboarding tricky but interesting. If you want a party scene there’s definitely that, this is the place where they have the Snowbombing festival. All the bars are rammed with people enjoying themselves - the Ice bar in the main resort (at the bottom of the ski lift) is always churning out skiers and Dutch people signing at the top of their voices! "We keep coming back to Mayrhofen"
We’ve been to Mayrhofen a few times and would again, we like that it’s a nice big ski resort so there’s lots to explore. We’ve got someone who comes with us who’s a non-skier and it’s good for that too because it’s a real town, so there are lots of shops and things like that. It’s nice to return somewhere because you know the resort and feel at home. Even if you keep going back to the same place, the resort changes depending on the weather anyway - if you’re there on a week with good snow, you can go off piste etc. As we always go with a big group, we can’t just book wherever has the best snow last minute and this is a good place to book in advance. We tend to prefer later in the season because it’s warmer which is a good trade off for having to put up with a bit of slush – this year we were skiing in our T shirts which you can’t beat! We’ve skied in lots of resorts in France, Italy and Austria and Austria is my favourite, I wouldn’t go anywhere else now! I like that it’s clean (the toilets on the mountain are much nicer than you get in France or Italy!) and the food is always very good. Like anywhere, the food isn’t overly cheap once you get on the mountain, but whereas in France you’d pay 10 euros for a mouldy old pizza, in Austria if you order pizza they cook it fresh in front of you. It has a good nightlife - Mo’s is a good bar if you want something to eat and there’s a really big bar at the top of town which is excellent at night and gets a really big crowd. There’s also a lovely open air restaurant where we usually stop off on the mountain where they do a BBQ every day. Overall we all thoroughly enjoyed our week in Mayrhofen. I couldn’t ski due to injury from a previous ski holiday but my son’s a very good skier and said the area was very varied and that he really liked it. It seems to consist of two big ski areas, one much bigger than the other. Everyone who skied enjoyed themselves, although the general consensus was that the area was quite difficult so you wouldn’t want to send beginners or nervous skiers there. Three of our party got a guide one day as Mayrhofen has quite a lot of off-piste, they were terribly lucky with the weather (bright blue skies) and said they had an absolutely amazing time and that the guide was very nice. One day I went along with them on the single track railway up to the glacier; it’s a huge and lovely area. I spent quite a lot of time in the village; there’s a lovely walk on the other side of the river where you walk across a bridge then up and along. Right at the end of the valley, Mayrhofen has the feel of a proper Austrian village – you came across a lot of locals going about their everyday lives which was really nice, it’s not something you see in most ski resorts and being here is very different to skiing somewhere like Val d’Isere which is so huge. Mayrhofen has a very pretty square with an old Austrian church, I was walking around one day and came across a quite splendid display by the old Austrian defence (it was a bit like Dad’s Army!) with everyone dressed up and a live band. It was a tremendous ceremony and rather fun to see. I don’t know about the nightlife because we spent most time in our hotel, but I think there’s plenty of it. Nothing cost quite as much as you find in France, where prices can be hideously expensive. We love Mayrhofen, we like to go down the valley and utilise the whole area. The train goes up and down the valley every 15 minutes and is included in your ski pass. You could easily ski a different area each day of the week. We like Zell am Ziller and Kaltenbach is lovely. There’s also a little place called Ramsau which is amazing for beginners as there’s hardly ever anyone there. We also like the fact that it’s quite cheap, with beers costing 3 euros rather than 5 like they do in France. "Nice town, lots to do"
Mayrhofen’s a nice little town – not like Tignes which is quite concretey. It has a nice feel to it and the town’s got everything you need there – there’s lots to do. By pure fluke it was the Altitude festival the week we were here, where they had comedians like Bill Bailey and Marcus Brigstocke performing. We went to some of the cheaper nights which were really good. The ski area is quite low which means it gets more affected by the weather. It depends on the style of skiing you prefer – my friend prefers the slush and moguls but I like the icier conditions. At the end of March the weather was cloudy but it didn’t really snow so we had to go to the glacier for the best snow. The ski area’s a bit of a mix of different level terrain, the lower level is tougher because there are only so many places you can go to, so I think it would be a bit of a pain if you were starting off. There was one section which was a bowl where all the ski runs go to the same point – I took some learners over there and it was bedlam for them because it got steep at the end. There are definitely some good bits for more advanced skiers. One thing I’d recommend is the tobogganing. It’s quite dear for one run but it’s a long run. Quite a lot of it was either slushy or non-existent as it was the end of the season, but it would be a really good laugh with a group of mates. "Loved it – would like to go back"
There’s lots and lots of skiing on the overall pass so you can do long days of skiing but also stay local if you’re a beginner (although they did have a bit of a capacity problem on the main lift). Because you’re in Austria there’s not much skiing connection between the different areas, so you have to go down and get the bus which means you waste a bit of time not skiing. We liked going around the different resorts (some big, some small) and the glacier – it’s probably more intermediate than advanced overall. The après ski both on the mountain and down in the village is very good fun. "The Dream Team in Mayrhofen"
Our group’s first trip to Mayrhofen, it’s a great place with a short transfer and the town itself is very pretty and well looked after, with plenty of après ski bars if you want to get involved in those. The ski lifts are all very modern and in good condition. We all ski together for the whole week and enjoyed the area, although on two days the visibility was pretty dreadful so we didn’t get to explore as much as we usually would. The only thing that would make us vote against returning to Mayrhofen is that we couldn’t ski back to the town, you have to get the gondola down and contend with the same queues that you find in the morning. Mayrhofen’s ski area is really good – you can go up both sides, one which had the main pistes and the other a little area with some nice blues and reds. There are a few decent black runs but they weren’t open as there wasn’t enough snow. Other than these runs there was plenty of snow and we had a really nice fresh load at the end of the week. All in all the area has lots of variety and was good for all of our family. We took the train to another ski resort one day because all the pistes were closed, it was quite interesting to have a change of scenery and you can use the train with the ski pass. It was Christmas week and it could be busy coming back down (as you had to get a lift down to return to the resort) but I don’t remember having to queue too much for other lifts. I’d definitely go back, it’s so clean in Austria and there’s no rubbish on the streets really like you get in France. Mayrhofen was amazing! We’re big foodies and loved it here. Gasser’s opposite the main chair lift (you can’t miss it) does nice hot food which was really cheap – you get a lot for your money. We really liked what we had and went back every day. There are only a couple of places I’d avoid, there was an Italian restaurant called Ciao where the staff were pretty rude and the food wasn’t great. I’m still a beginner boarder and it was perfect for me. There were advanced people in our party who also had a really good time and there’s a park as well if you like the freestyle stuff. The nightlife is supposed to be pretty good so if you want to go out in the evenings there’s plenty there – some of the bars are absolutely packed when the lifts close. On blue run 8, there’s the Ice Bar which is like an igloo with snow carvings in the wall, it’s well worth going to for a look and a drink. My husband said the bob sleigh was brilliant and well worth a go if you like that kind of thing! "We all really liked Mayrhofen"
I was here with my husband who was a beginner and my son who was a beginner boarder... we were heading to the Penken area on the first day but got a tip from someone on the bus to stay on the bus to the Ahorn, and I’m so glad we did! The area was very quiet and exactly what we needed, whereas the main section was very busy all day (the Ahorn does get busier as the day goes on but we were on the 8 o’clock bus every morning). The blues on the Penken are tricky and narrow but the Ahorn has a beautiful, massive long blue run and there are a couple of red runs including one that goes all the way down. There are also some really nice restaurants up there (they’re expensive but that’s what you expect in Europe nowadays). "Lovely for the family - watched Kasabian from our balcony!" Mayrhofen is lovely, we were there as a family and I would definitely recommend it to other families. We were there for the week of the Snowbombing festival which was fantastic. On the last night we watched Kasabian from our chalet balcony and there was a firework display which our children loved! A very good week with the family in Mayrhofen. It was very warm the week we skied here (end of March 2016) but that barely affected the slopes at all. Mayrhofen is quite a low town and we couldn’t ski a scrap of snow, but up on the mountains not a single run was shut! I would say it’s a place for intermediates, only because what they were doing for beginners was using a different gondola to go up – if you were parents with children learning it would make things complicated. It’s a really good resort with lots of nice restaurants and pubs. The transfer time is really short, taking an hour 20 minutes or something. Innsbruck airport is so efficient and the process is so swift; you get off the plane and they’ve already unloaded your luggage! Absolutely brilliant. "A great week, Altitude festival was a bonus!" We had a brilliant week away! Mayrhofen’s a wonderful town – when I last visited it was quiet but it’s now a lot more lively (in a good way!) with lots of things do. We’re a group of fairly beginner boarders and there was enough for us to do. It had snowed the week before we went and although there wasn’t snow in town, we had really good conditions on the slopes. There are lots of things to go and see, including a whole programme for non-skiers. I heard that there’s a beautiful waterfall within walking distance. It was a bonus that we booked the week of the Altitude Comedy festival which takes place here every year. We met Bill Bailey at the top of the mountain and also saw people like Sean Locke, Marcus Brigstocke and Rob Beckett (as well as some familiar faces like Joe Swash from Eastenders). You could buy a day ticket which gave you access to 3 shows. If you like to have a bit of entertainment when you’re not tearing down the mountain I’d definitely recommend finding out when next year’s festival is. "New gondola makes things quicker!" I had very good weather all week. Obviously there’s a new gondola which gets you up the mountain very quickly indeed, there was never any queueing even at the weekend. It’s also really good that the ski pass takes you to all of the resorts right around the whole valley – on a couple of days I took the bus (from the railway station) to the glacier. It’s obviously higher up there and the snow was good, nice and wide slopes and good views too. From the middle of town to the glacier took about 40 minutes, but once you’re there you have quick access up the mountain. It’s a nice little town with a swimming pool etc and lots of bars and eating places. It’s all pretty close by along one main street. The transfer is very quick, just about an hour. Returned to Mayrhofen after 15 years out of curiosity to see if it had changed – liked the town, though up on the mountains there wasn’t a lot of snow and probably not enough skiing for me (last time I was here I was more of a beginner). I still enjoyed myself though, it was the Altitude week and I’d definitely recommend going when the festival's on. They had events in different locations around Mayrhofen with a variety of comedians (some good, some not so good!). I’ll definitely be looking at going to Altitude again next time. Brilliant week, I would definitely go back to Mayrhofen – we had an excellent holiday across the board. The location is great as there are so many different areas to try and everything is very affordable (nowhere near as expensive as Verbier the year before). Mayrhofen is very picturesque; when we first landed we thought there wasn’t going to be much après ski, but all of a sudden the place comes alive when the lifts start to close. If you’ve only done France, you’ve not lived from an après ski point of view! The big round bar at the top, before you get the cable car down was really good fun. There’s a massive bar with a pizza place in the corner, 2 big bars and a dance/DJ area where we went a lot. There were also 2 smaller bars that were really busy between 4 and 7pm as well as two or three wine bars if you want something more sophisticated and some nice places to get a coffee if you want a sit-down. Overall it’s really good for snowboarding. The only disappointing thing was that the snow wasn’t it’s best, there was plenty of the stuff but by 3:30pm it got slushy. It’s only a short transfer of 55 minutes from Innsbruck. "Great resort, cheaper than France"
Mayrhofen was great, we’re used to skiing in France and staying up on the mountain so this was something different, but we really liked it. We could ski lots of resorts down the valley because the ski pass covered the train, buses etc. so we had something different to ski every day. Everything was a lot cheaper compared to France and although we didn’t go here looking for après ski bars, there were a lot there if you wanted them. 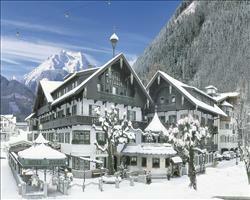 I’ve been to Mayrhofen quite a few times and as a resort it’s really nice. The ski region is really good, you can get on the train and go to all different areas. There’s a new gondola which makes getting on the mountain so much quicker than it used to be, and the majority of lifts are 8 man lifts with heated seats. The après is good there too. "Better with the new gondola"
I’ve been to Mayrhofen quite a few times and normally stay in one of the villages on the outskirts – in Finkenburg you can get straight on the mountain, but in Mayrhofen the queue for the Penken lift is usually chocka. However the new gondola has been finished there and it’s definitely improved things. It’s a good resort with a quick transfer and a good snowboard park. "Interesting & great base to visit Zell & Hintertux"
Mayrhofen is interesting, it takes a bit of getting used to as it’s a different type of resort. The Austrians have a much better service than you get in French resorts, they treat their business seriously and are always so pleased to see you. You’ve got to travel to get the best of it or you end up stuck on the Penken waiting one hour to get down. I usually ski first thing until 1pm, then scurry down, jump in the car and ski for the rest of the day somewhere else. I rented a car and would say it’s the best way to do Mayrhofen, it’s not as much fun if you don’t have a car but the bus will take you to Zell am Ziller and the Hintertux glacier if you can’t drive yourself. "Great place for all levels & park, met John Bishop!" Mayrhofen was great; there are about 5 different ski areas that you get access to. We didn’t go to the glacier (which is up the valley) but we did 3 of the other 4 areas and really enjoyed them. There’s a lot of scope for different places to ski or snowboard and you have complete coverage with the ski pass. There are some really nice long runs, didn’t end up doing the black Harakiri run but there are loads of blacks around. Again I wasn’t looking for greens but did see some nice blues. I’m a boarder and there are a few board parks too. The Altitude Comedy festival was on while we were there and we booked to see John Bishop – we actually met him in the Ice Bar (really good après ski bar @ the bottom of the Penkenbahn) and then again later in the week on the lift which was a nice memory from the holiday. "Great if you have teens"
We had a lot of fun in Mayrhofen. As a resort, it has a good combination of adequate skiing at different altitudes, with some lovely views of the scenery. It’s not as expensive as places like Switzerland and Courchevel 1850 either – everything’s very good value for money. It’s a great place if you have teenagers as the town is absolutely hopping with nocturnal activities. The 7km toboggan run is definitely worth doing. It’s good fun up at the glacier but on the whole the skiing’s a bit limited and if you’re a great skier, you’d probably give it a low mark. You have to be prepared to jump on a bus / train and go to the glacier and other ski areas - the transport system is fantastically efficient. Having been to Mayrhofen once I probably wouldn’t rush back, but that’s not to say we didn’t have a good week – it’s just not like St Anton or the 3 Valleys where there’s always more to discover. "Attractive & full of life"
We’d never really taken to Austria before coming to Mayrhofen – before we’ve always experienced bad snow conditions because the resorts are so low and it’s taken a long time to reach the lifts because the accommodation tends to be right at the bottom of the valley. Here, being so close to the lifts (we stayed in Sporthotel Strass), this wasn’t a problem and it was nice to be staying in the town. The town itself is very attractive and full of life – there’s always something happening, they host the Snowbombing festival and also a big comedy festival with well known names. "Incredible apres - the nearby resorts are well worth visiting"
Because of the time of year we skied in Mayrhofen it wasn’t very snowy – it’s always nice to have the snow reaching down to where you’re staying and I imagine that at other times of year it would be really nice. We had decent enough snow on the mountain and the skiing was good for all ranges with quite a decent spread of slopes. We weren’t dead set on coming to Mayrhofen but chose it because we got a good deal, we probably wouldn’t return but just for the sake of variety because it’s nice to see new places. Unfortunately we didn’t have good weather at the end of March, there were a couple of days of complete white out. They closed the mountain one of the days and scooped everyone off the slopes, it’s probably the least amount of skiing we’ve ever done in a week. We’re not into the bars and clubs but we found our own entertainment when we weren’t skiing. This was our first ski holiday in Austria and I don’t think we will be returning – I hadn’t realised that they all smoke in the bars and restaurants. We found out that Austria’s has the fourth highest smoking population and there were so many people chain smoking wherever you went, it was like going back in time. We’re used to the fact that in most European countries people smoke outside these days so it was quite surprising. We had a great time in Mayrhofen. It was all getting a bit warm and slushy in the middle of March. There was a funny mix in town, it seemed to be split 50/50 between stag parties and people our age. The place has become fairly commercialised and lost all its charm, these days the majority of shops are ski rental places. Also everything closed at 5:30, so when we went for a wander in the evening all of the shops were shut. We had a half board package so didn’t need evening restaurants, but we enjoyed eating in on the slopes during the day, and found some nice cake shops and cafes. I should imagine the ski area would be hard work for beginners because of the access to the slopes. We’re quite competent and skied the whole mountain – we enjoyed it and intermediates would too. We probably wouldn’t go back just because it’s so quiet with the shops closing early, we’ve been to St Anton a lot and maybe that’s spoiled us! "New Year group holiday in Mayrhofen"
The town itself is really nice, it was very pretty as we had quite a lot of snow while we were here. We went to a couple of different bars and spent a lot of time in the Edelweiss (really nice food). For New Year’s Eve, they did a street party with loads of fireworks. The only thing I didn’t like was having to get the cable car back down, and obviously at peak times (like the end of the day at 4) there was a long queue. In every other ski resort I’ve been to, it’s been possible to ski at least some of the way back. For this reason, I probably wouldn’t return to Mayrhofen again. "Great skiing, just need better access up & down!" The resort itself is really nice, nothing was expensive and the night life and choice of restaurants and bars are very varied. The lift system that goes out of the town gets extremely crowded, so even when it’s not the ski holidays you can be waiting for over an hour. We worked out that it was actually faster to take the coach or the train out of the town to access the same ski area... it was a real downer as with a more modern lift system Mayrhofen would have been fantastic. With children, it would have been really frustrating having to wait in the cold for so long. Once you do get up, there are loads of modern lifts and you could spread over the whole area very quickly with no queues, it’s just getting up and down that’s the problem. The skiing is really varied with anything from blues up to blacks. It’s a really big ski area and as long as you don’t mind getting the bus/train for half an hour, there are lots of different areas to enjoy for all levels of skiing. "Bit of a mission to get up to the mountain every day"
It’s a bit of a mission to get up to the mountain every day, Mayrhofen is set quite low in the valley, but it was fine. It’s a great resort. I wouldn’t shoot back straight away but I’d certainly come here again. There are lots of bars and restaurants, we ate out most nights. The ski conditions were great and the area will be even better when the new lift is open later this year – they’re adding a double capacity gondola right next to the existing lift. We had to queue a bit to get up the mountain in the morning but the new lift will make a massive difference. We’re a mixed group from blue run skiers to off piste skiers and most of us did morning lessons – the area as a whole was brilliant. We did a lot of apres from 4:30pm and went back out after dinner for a couple of 2:30am-ers and 4:30am-ers. The town is absolutely great and there are loads of bars to drink in (as well as a good place for kebabs! ), I can’t remember the name of the one bar we spent most time in, but it was literally jumping every night. Our trips to and from the resort were no bother whatsoever – with Mayrhofen down at 600m, getting there is a whole lot easier as you don’t have to hike up a kilometre of mountain. We will definitely go back to Austria next year, it’s so much cheaper than France (3-4€ for a pint of beer) and everybody’s dead friendly. First time skiing Mayrhofen and really liked it! There’s quite a lot of skiing in different areas and you can get the train to different places so you couldn’t get bored there. We were fairly lucky with the weather, with it being quite early in the season and other resorts struggling for snow. There are a lot of shops, restaurants and bars giving the town a lively feel. On New Year’s Eve Mayrhofen holds a street party which gets a bit wild, they serve mulled wine with all the bars open and fireworks going off everywhere. If this isn't for you, you don't have to go, there are plenty of other things to do. We were a family the resort suited us fine, it would also be a good resort for groups of adults. I’d definitely go back. This was our first time away over Christmas as well as my first time in Mayrhofen – my girlfriend had done a season here so knew the area well. The snow wasn’t great at the beginning of season but it snowed in the middle of the week and there was enough open to ski for the week, with good snow it would be superb. I couldn’t believe how cheap Austria is, especially when you’re used to the ridiculous prices in Switzerland and France - eating out on the mountains was cheaper than London! Really liked Scotty’s which is a popular bar. I was a little disappointed that there wasn’t anything on for Christmas as I was expecting Austrian markets and for it to be really festive, it turns out we missed the markets by a couple of days which was a shame. "Friendly resort, whole valley to ski"
Mayrhofen’s a really good resort. I went by myself and it was very friendly, not too lively and not too quiet. I would definitely go again. The fact that you get the whole valley in the ski pass is great. I would say it’s a ski resort for intermediates and upwards as it can get quite busy. Mayrhofen is great, a lot cheaper than resorts in France with enough places to eat out and a really good social scene, we went to loads of bars throughout the week. For me and my mate it was just what we needed. We were snowboarding and there were enough red runs to keep us occupied for the week. "So much snow at the end of March!" We had too much snow which was mental for the end of March! We still managed to get out every day but the only problem with Mayrhofen is that they close the lifts a lot, even if it’s not that bad. We got a bit left in the lurch when we made our way over to one of the ski areas only to find the lifts closed because it was a little windy. It would have been better if they’d let you know the status of lifts before you got on the bus… there’s also massive queueing when you come back to resort at the end of the day. They could have left the lifts open a bit later too as it was still bright when they closed. We still managed to ski the whole area which is really good, they’ve got the Harakiri run which we went down loads of times (it isn’t as bad as they say it is). At the moment they’re replacing the Penkenbahn lift that takes you up to the main ski area, so there should be a lift with more stability for the next season. If you’re a young person you would love Mayrhofen. There are so many bars, we went out and played pool and when you come down from the Penken, the Ice Bar always has people dancing on the table. They have Snowbombing here too which was the week after we left. There’s even a kebab shop and a meat shop where you can get amazing pork sandwiches. Compared to France the mountain restaurants are a lot more affordable. "Mayrhofen end of Jan 2016"
Mayrhofen’s a cool place with a lively atmosphere. We had summer holiday weather with temperatures around 21 degrees every day. It meant there was very little snow, and what snow was left got slushy - but I enjoyed the sunshine nonetheless! "Not our kind of resort"
As a bunch, we’ve been all over the place when it comes to ski resorts. If I had to say our favourite resorts, St Anton’s always a good one, as are Sauze d’Oulx and Livigno in Italy – these are the ones we return to every few years but Mayrhofen didn’t go down as well. It was really, really busy – I haven’t seen a ski resort that busy for twenty years or so. It wasn’t English half term , maybe it was for another country (end of Jan/beginning of Feb) but whatever the reason there were far too many people on the slopes which made it difficult to navigate. Combine that with the odd ski range we found ourselves on: lots of short runs, far too many chair lifts and not much for the technically advanced and I don’t think we’ll be coming back to Mayrhofen. The Kramerwirt hotel however was excellent - 5/5 for that, we definitely lucked out in that department. "Characterful Austrian town with big skiing and bigger apres"
Set fairly low within the valley, Mayerhofen is a sweet little town with access to a huge ski area. It’s a good option if you want to bring your car with you as it is easy to drive to. We went to the brilliant ‘Snowbombing’ festival which takes place every year in April. It’s a dance music and ski extravaganza which sees hundreds of Brits in fancy dress descending on the town for a week of partying. There were lots of good bars for après-ski, in particular we liked Hara Kiri bar. The rest of the year the resort is much quieter and family friendly.